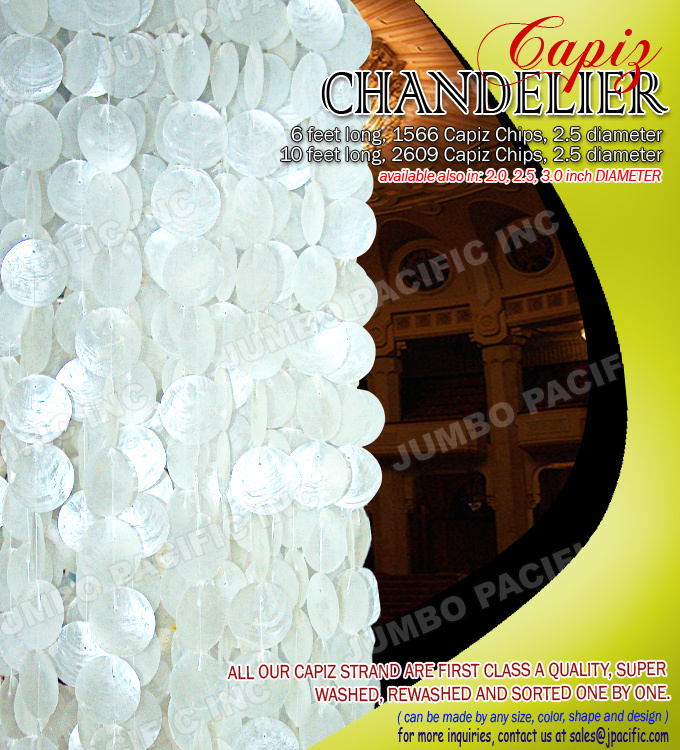 Description:Capiz chips natural white round design in square wood base. Height:67 inches base to bottom. 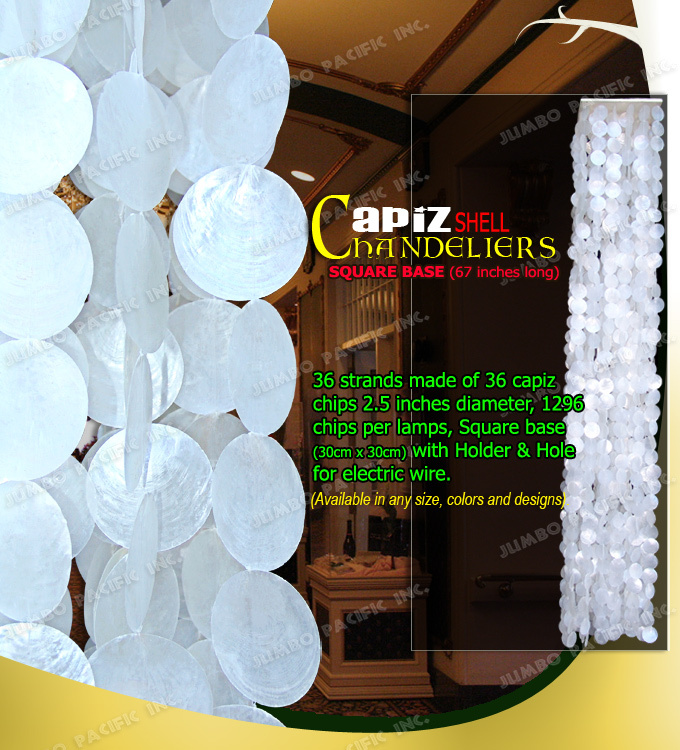 Description:Capiz chips natural white circle design in round wooden base. 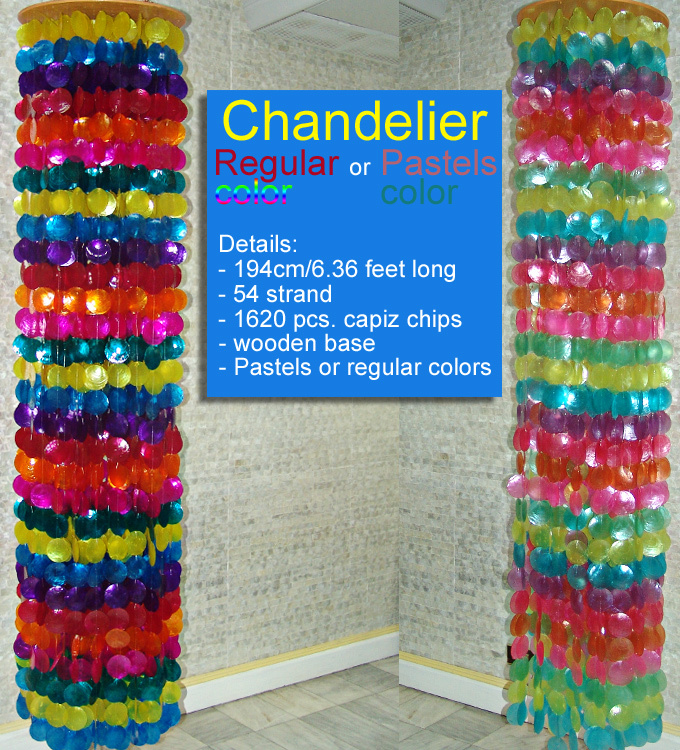 Height:70 inches base to bottom. 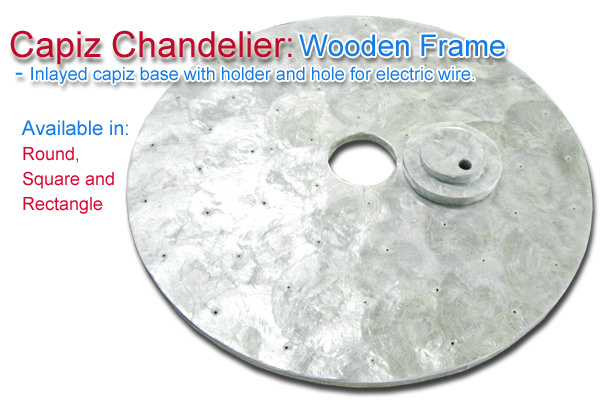 Description:Capiz chandelier 6 feet and 10 feet long natural white circle design in round or square wooden base. Volume Weight:A.) kg. B.) kg. 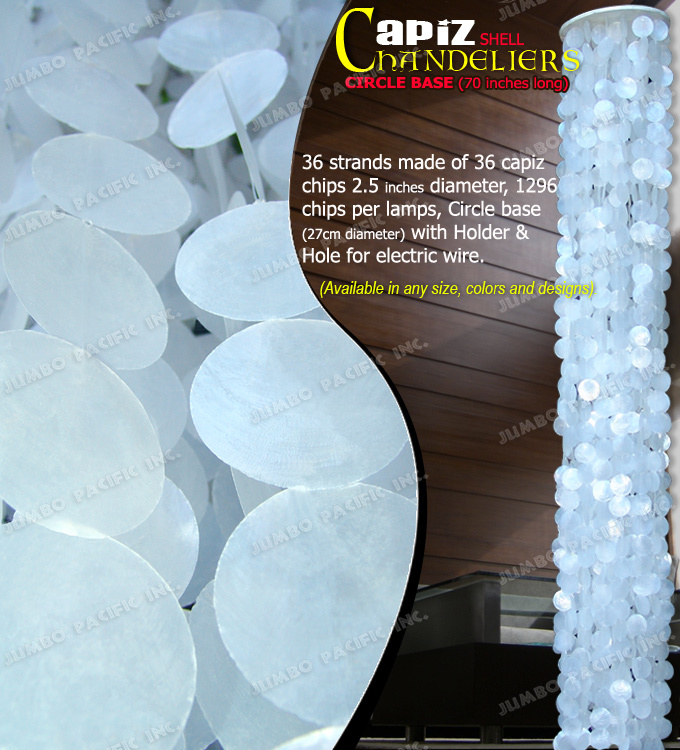 Description:Wooden round base colored pastels or regular colors hanging chandelier in 60mm round capiz chips. Available in any colors, size and design. 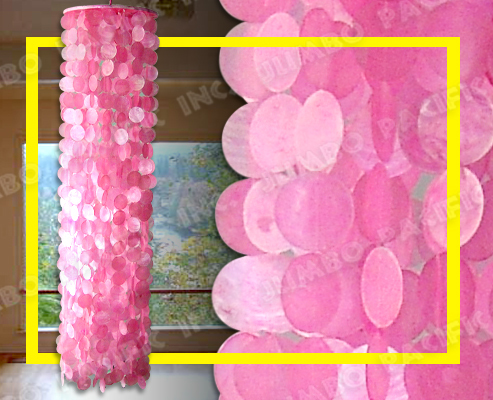 Description:Wooden round base colored pink best for girls hanging chandelier in 50mm round pink capiz chips.